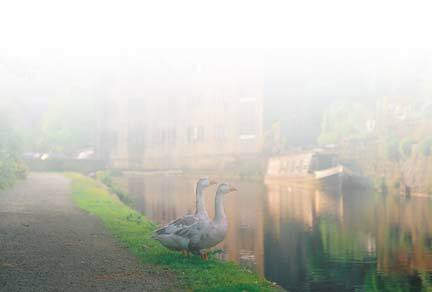 join John Morrison of Magnetic North for an evening of zen photography around the streets of Hebden Bridge. Instead of chasing pictures, let them come to you! Bring DSLR camera, tripod and an open mind. Places limited to 15, so book early to avoid disappointment. Created by renowned local cellist Helen Thatcher, The Erringden Ensemble boasts some of the most experienced chamber musicians in the country. The four playing tonight have made numerous recordings and performed all over the world. Paul has appeared with Maxim Vengerov at the Proms and across Europe, and is Permanent Guest Leader of the Hallé Orchestra. Cath is Principal 2nd of the Hallé and performed with Helen in the Sorrel Quartet for over 20 years. David is a member of contemporary music group Psappha, and is also Principal Violist of the Orchestra of Opera North. Mrs Barbara Nice, a Stockport mother of five, is worried that we are living in a world of ever diminishing friendliness where we keep ourselves to ourselves, heads down, afraid to catch anyone’s eye. She wants us all to stand proud, be open and look the World right in the eye – or we won`t feel the benefit! 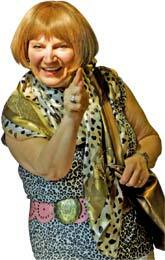 Barbara is the comic creation of Janice Connolly, Phoenix Nights’ Holy Mary. Janice has recently finished a run in Beautiful House at Manchester's Library Theatre.